I came across the blog referenced below identifying 10-principles proposed by the author from experience in software work. It took more than software to evolve towards the Internet, Web, GPS, associated applications and services, the 'open' communications world of today and the results and culture of 'open source'. 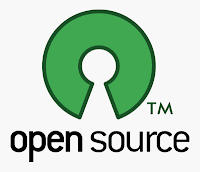 Open source is about people, ideas, creativity, tools and technology, working with others through ongoing peer review to achieve results thought impossible in context of time, resources and conventional methods, processes, organizations and management. The result is communities of dedicated people, members of projects, tasks, applications, and recently corporations, formal and mostly informal, working together productively to define and resolve problems, deliver results, effectively and in a responsive manner. Often it is not about cost. It is rather about the cost of not doing it, of not delivering results in a timely manner, of missing a window of opportunity, of failing to offer solutions, of failing to offer value, of becoming irrelevant. Open source brings to mind the potential application of same culture, communication and tools to define and address challenges in fields other than computing where intellectual property, patents and copyrights represent serious obstacles to development. Open source is a development method that harnesses the power of distributed peer review and transparency of process. I list below the 10-principles referenced in the subject blog. Lots of customers is a greater barrier to entry than lots of intellectual property (IP). A business' brand is its greatest asset in driving sales. Not its IP. Lower barriers to evaluating and using your product. Sell customer value, not vendor value. Product use should breed re-use and further sharing. A collective product best serves a collective market. Invest in service and your product, not sales. Transparency breeds trust, and trust breeds revenue.